This piece will bridge two items: last week’s newsletter and the upcoming New Year. What do they have in common? Talk about goals and resolutions! Have you given a thought to what your New Year’s resolutions will be? Bottom line: Goals are great, but they cannot survive on their own. 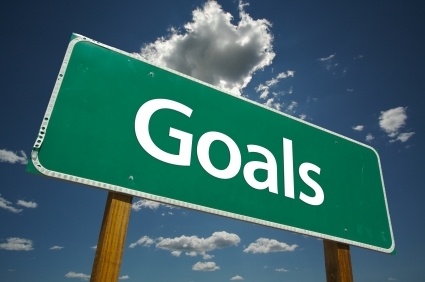 Goals, left alone, are like zoo animals in the wild: they starve and die… Sad! Bottom line: Goals exist to be achieved. But what happens after you achieve your goal? You accomplish your goal… and then what? You might feel a brief sense of accomplishment, people might call to congratulate you, and your Facebook popularity might soar for a few hours but… then what? What you will learn is that the world does not stop for you. It does not skip a day to celebrate your achievements. This is what I learned over and over again throughout my entire athletic career: I hit a goal and nobody cared. Achieving your goals is great, but what’s more important is having a bigger vision of what your life should be with your goals. Without the bigger picture, you’ll always end up being disappointed by the fact that despite hitting your goals, the world did not stop to congratulate you. Striving toward a vision is what can give you true fulfillment. By setting your goals as stepping-stones toward your vision, you will be able to find true success. And a vision doesn’t need to be anything drastic — if it truly electrifies you, gets you out of bed at 5AM to cook or to train, helps you put up with dry chicken and Dr. OZ’s diet advice… that’s it. Whatever it is that moves you and gives you a purpose in life, find it and set your goals accordingly (or contact us for help)!